Fifteen years ago, on this day, two hijacked aircraft crashed into the North and the South towers of the World Trade Center in New York. But there was another 9/11, 108 years ago, that preceded this event. Swami Vivekananda addressed the western world at the Parliament of World's Religions held in Chicago on September 11, 1893. He taught the world that the underlying message of all religions are the same, and service to mankind is the most effective form of worship of God. There were two major incidents that happened on 9/11 in America. The recent one was a terror attack in 2001. Fifteen years ago, on this day, two hijacked aircraft crashed into the North and the South towers of the World Trade Center in New York. The third hijacked plane crashed into the Pentagon, the headquarters of the US Department of Defense. The fourth hijacked plane crashed into a field in Stonycreek in Pennsylvania. It was an event that shook America and startled the world. The coordinated terror attacks were executed by the Islamic terror organisation, al-Qaeda. The terror strikes snuffed out the lives of around 3,000 innocent people. But there was another 9/11, 108 years ago, that preceded this event. The event was in far sharp contrast from the previous one. A Hindu monk stormed the bastion of the so-called superiority of western world at the Parliament of World's Religions held in Chicago on11th September 1893. Swami Vivekananda began his startling speech bowing to Ma Saraswati, the goddess of knowledge. "Sisters and brothers of America!" With those words, the saffron monk from India started his speech. As if the West had not heard these words before! With those words, Vivekananda received a standing ovation of three minutes from an audience of 7,000. "I thank you in the name of the most ancient order of monks in the world; I thank you in the name of the mother of religions; I thank you in the name of millions and millions of Hindu people of all classes and sects. It was in this speech that Swami Vivekananda explained with great clarity to the world audience what Sanatana Dharma and Indianness exactly signify. This is how the saffron monk precisely defined India and Hinduism in his model speech: "I am proud to belong to a religion which has taught the world both tolerance and universal acceptance. We believe not only in universal toleration, but we accept all religions as true. I am proud to belong to a nation which has sheltered the persecuted and the refugees of all religions and all nations of the earth." Unlike Abrahamic religions which propose to divide the world between believers and Kafirs or believers and Heathens, Hinduism believes in the unparallel philosophy of of Sarve Bhavantu Sukhinah (May all become happy, May all see what is auspicious). While the other speakers spoke simply on their own faith, Vivekananda stressed upon the essence of inter-faith awareness, religious tolerance and universal brotherhood. He taught the world: The underlying message of all religions are the same, and service to mankind is the most effective form of worship of God. One hundred and twenty three years after Vivekananda delivered his Chicago address, his message is still relevant to the present day world marred by religious chauvinism. Needless to say, both Western and Islamic societies have much to learn from Vivekanada's 9/11 address. "Sectarianism, bigotry, and its horrible descendant, fanaticism, have long possessed this beautiful earth. They have filled the earth with violence, drenched it often and often with human blood, destroyed civilisation and sent whole nations to despair. Had it not been for these horrible demons, human society would be far more advanced than it is now." In that model speech, Vivekananda presented the ancient teachings from India in its purest form. His speech channelled the spirit and sense of universality of Parliament of World's Religions. "India, the mother of religions, was represented by Swami Vivekananda, the orange-monk who exercised the most wonderful influence over his auditors." 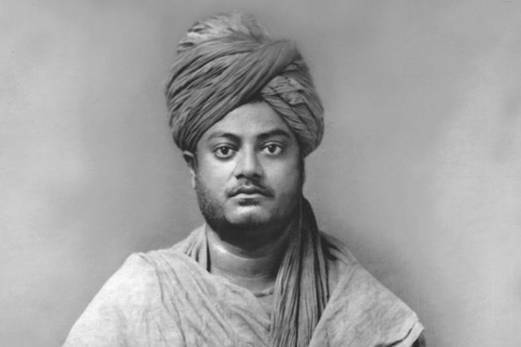 The American Press dubbed Swami Vivekananda as "handsome oriental", the "cyclonic monk from India", the "greatest figure" in Parliament of World's Religions and the "most popular" and "influential" man in the Parliament. "Swami Vivekananda is an orator by divine right and his strong, intelligent face in its picturesque setting of yellow and orange was hardly less interesting than those earnest words, and the rich, rhythmical utterance he gave them." "Vivekananda was a great favorite at the Parliament… if he merely crosses the platform, he is applauded." "Vivekananda is undoubtedly the greatest figure in the Parliament of Religions. After hearing him we feel how foolish it is to send missionaries to this learned nation." Yes, Swami Vivekananda was a missionary in true sense. He never converted people away from their native faith. The content of Vivekananda's Chicago speech will always have an irresistible appeal. The speech marked the beginning of Western interest in Indian values. September 11 is also celebrated as the World Brotherhood Day to commemorate the spirit of that speech. Swami Vivekananda will always be remembered for his relentless effort to make the world a place of truth, beauty, and goodness. "Keep Kendra in your prayers"